Some may call it a fetish, others a phase, but the treasures you have collected over the years - be it vinyl records, first-edition comic books or die cast car models - are your joy and pride. While you cannot replicate museum-style preservation methods at home, being particular about how you store and display your collectibles can significantly prolong their life. Turn into a curator with these basic pointers. 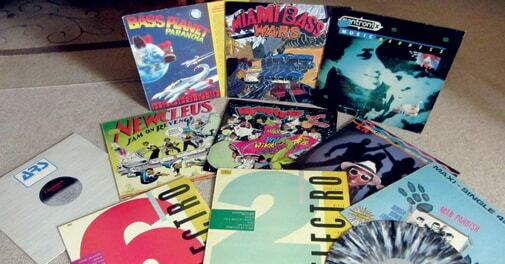 With vinyl records making a stylishly niche comeback, you should be giving a thought to your old record collections. They will have achieved the status of antiques in a few years, so you don't want them gathering dust in the attic. The best way of storing records is to place them upright in a plastic crate or a sturdy cardboard box. Avoid stacking albums since it may lead to breakage. While storing, do not stack the boxes containing the records too high because the added weight of the boxes can crush the albums. You want to take utmost care of the collection you have painstakingly put together since you were a child. And as paper is particularly sensitive to extreme temperatures, they should be sheltered from light and moisture. Place comics individually in a Mylar sleeve along with an acid-free comic backboard. Store the sleeves upright in acid-free storage boxes, and - if possible - keep them in a climate-controlled environment. Invest in a display cabinet that can accommodate your collection of die cast model cars and, preferably, bolt it to the wall. Single model car display cases are a good option if your collection happens to be a small one. Opt for display cases with a wooden base and focus cold LED bulbs on the models instead of halogen bulbs, which could make the paint fade and cause deterioration.